In 1994, a club was established especially for children interested in the Sonoran Desert and its animals, plants, geology and history. 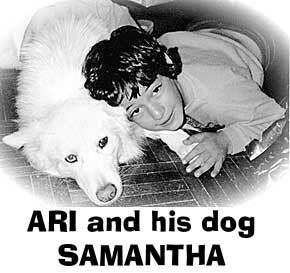 The Coati Kids Club was founded in memory of Ari Yehiel Blattstein (May 14, 1983 - August 12, 1991). Ari had been a frequent visitor to the Arizona-Sonora Desert Museum which he called "the Mazoo", a term well-suited to this living museum-zoo. Ari was very interested in conservation. He had a special love and attachment to animals and they seemed to have sensed this love and responded. Ari was fascinated with his desert (he was convinced from the day he arrived in Tucson that the "A" on 'A Mountain' was a welcome specifically directed to him) and his animals. He would have totally approved of and been the first member of the Coati Kids Club. It reflects his views and aims to protect this wonderful unique area of the world.